According to an Activision survey, a paid Call of Duty service would "enhance the multiplayer experience and provide exclusive access to a group of gameplay enhancements". Those enhancements include things like early access to betas and expansions, exclusive character skins, exclusive game modes, better stat tracking as well as competitive play support. Does that mean we'll have to pay a fee for Modern Warefare 2? 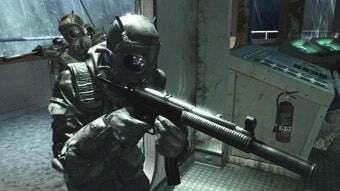 The game's developer, Infinity Ward, states, "This rumor has absolutely nothing to do with Infinity Ward or our games, including Modern Warfare 2. We would never introduce such a system for Modern Warfare 2 so don't worry." Phew. Okay then, we'll just worry about the other CoD developer, Treyarch, putting a paid service in its next Call of Duty.